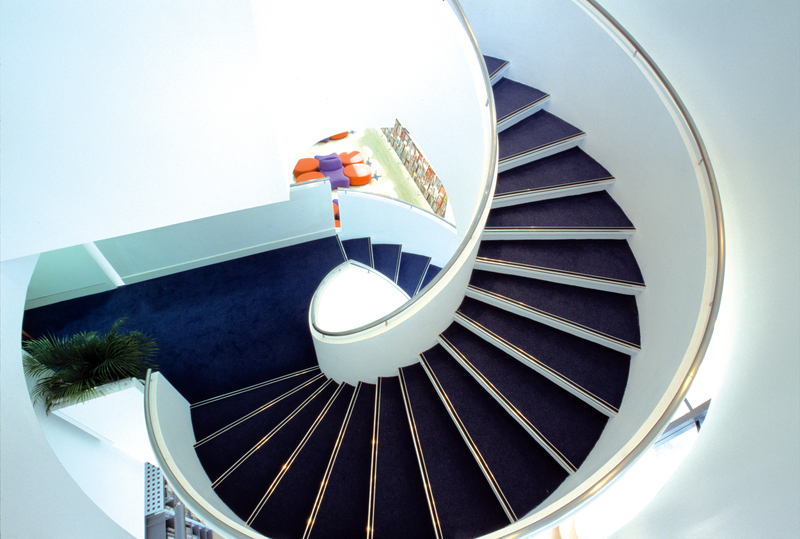 Specified as a result of the architect seeing the Parkview stair in West London this sculptural public stair differs from its inspiration in having solid risers, it could alternatively have had a smooth soffit. 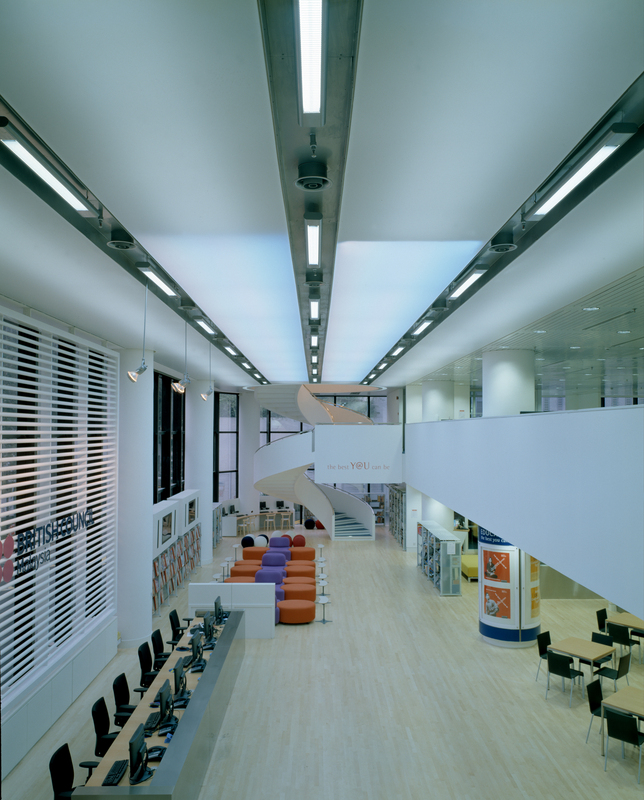 A double flight design it is constructed using mild steel stringers with plaster cladding to produce the solid balustrade. 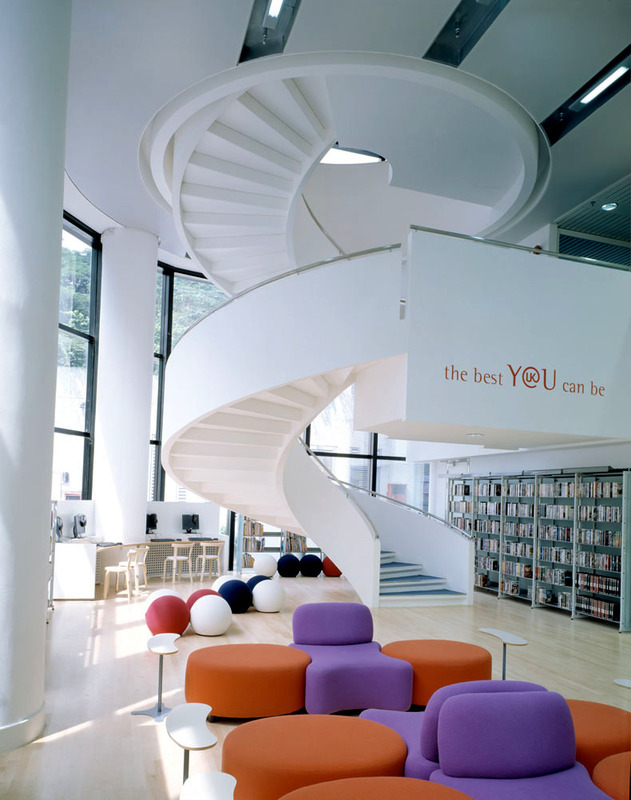 Spiral also built the bridge that extends to the first floor and which the British Council has decorated with its motto.